For decades, comic book fans have followed the adventures of their favorite super heroes defending the public, fighting villains, coming to terms with their own powers, having amorous relationships and just generally saving the day. But what do those same characters do when the cameras aren’t rolling, so to speak? 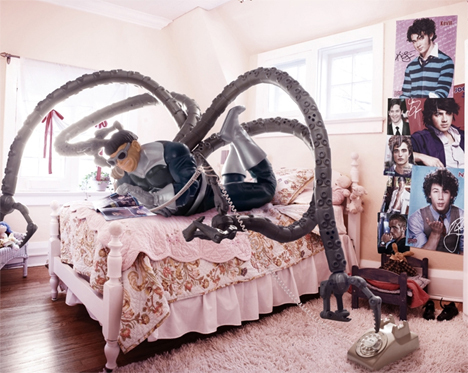 With a combination of photoshop, costumed models and action figures, Toronto photographer Ian Pool creates fantasy scenarios of popular super heroes and villains – from Wonder Woman to Doc Ock – in situations ranging from the embarrassing to the provocative. Nothing’s quite so incongruous as the sight of an infamous bad guy sitting on the toilet in a frilly bathroom, reading a parenting magazine. 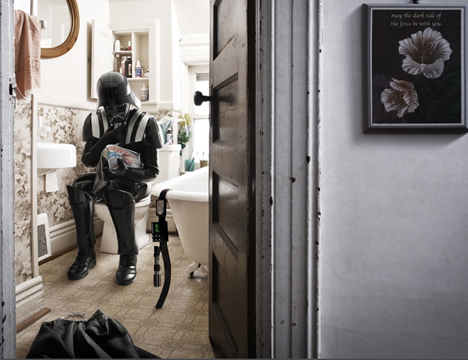 Pool’s image of Darth Vader doing just that gets an even more humorous touch with a chintzy plaque reading “May the dark side of the force be with you”. 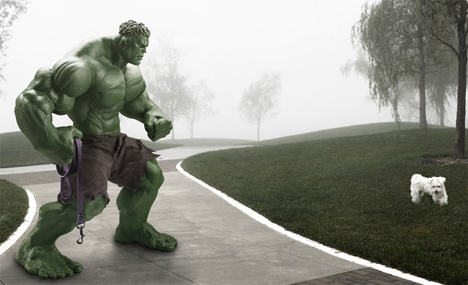 With his intimidating muscles, bulging veins and green skin, The Incredible Hulk cuts an imposing figure. But this tortured protagonist loses some of his frightening mystique when walking a dainty little dog. 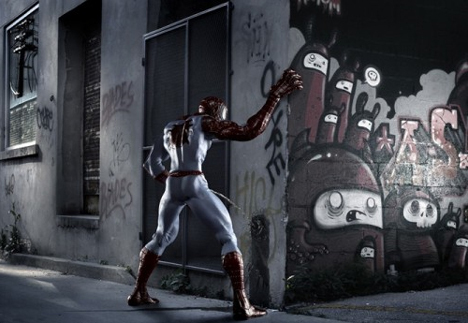 Perhaps Spiderman isn’t always so virtuous. The agile web-slinger isn’t afraid to break a few laws here and there – like the ones that bar public urination. Anyone that has ever harbored a crush on Wonder Woman might find it renewed after getting a glimpse at some of the things she likes to do after dark. 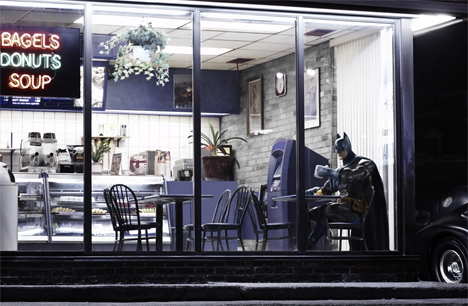 Batman might be a badass, but even he needs a little caffeine pick-me-up every now and then. Luckily, he gets rock star parking at the local diner. 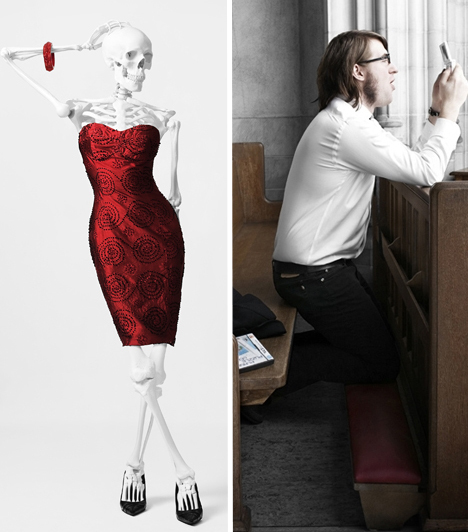 Not all of Ian Pool’s photos focus on superheroes – the photographer is also known for thought-provoking editorial work, often with a satirical edge that hints at social commentary.